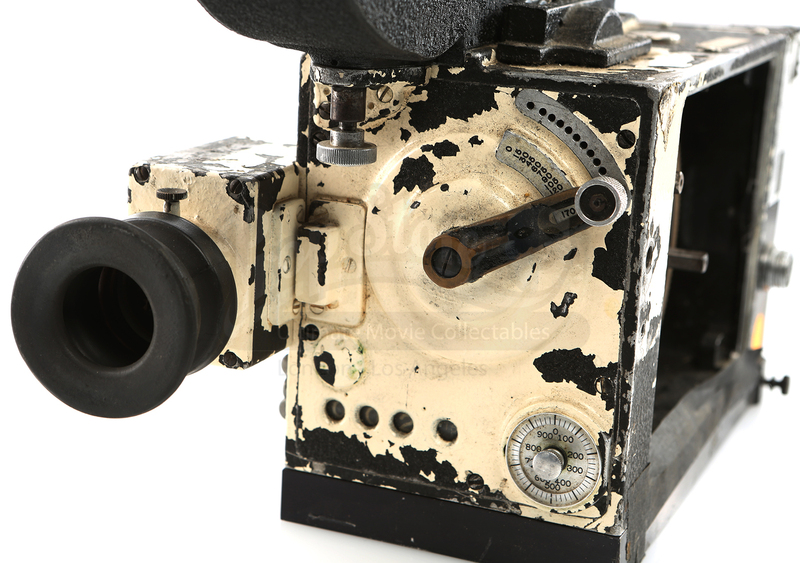 This vintage Mitchell 35mm motion picture camera was used during shooting on the stop-motion film "James and the Giant Peach." 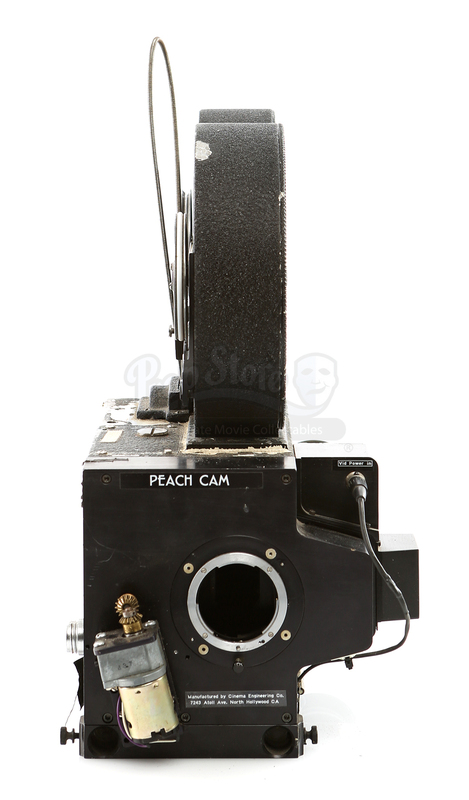 It camera is clearly labeled "Peach Cam" on the front lens mount plate. 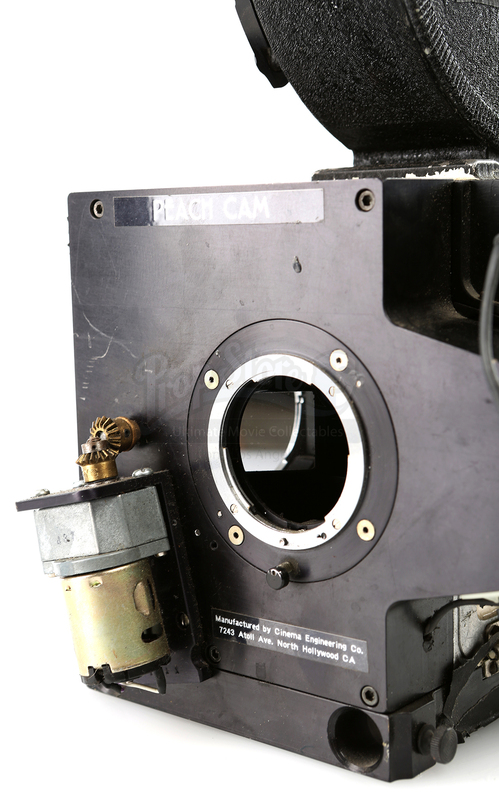 The white-body Mitchell was likely originally a military camera. 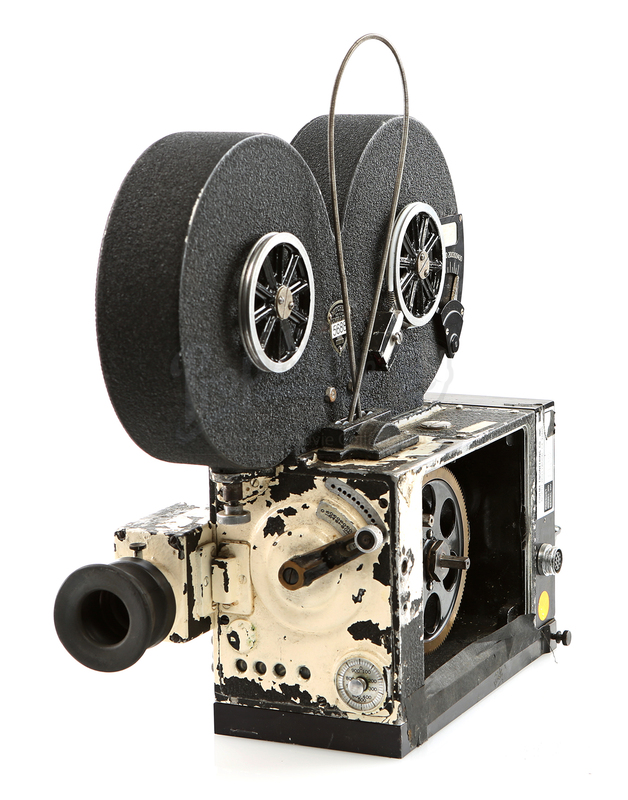 It has been adapted for stop-motion use so has a replacement lens mount, a video tap on the view tube, and has been removed from the rackover base. 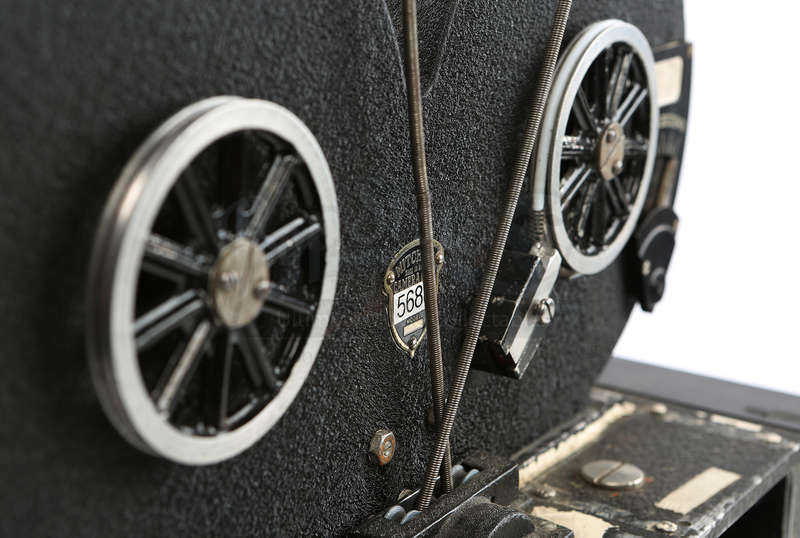 A 400' Mitchell film magazine is included. 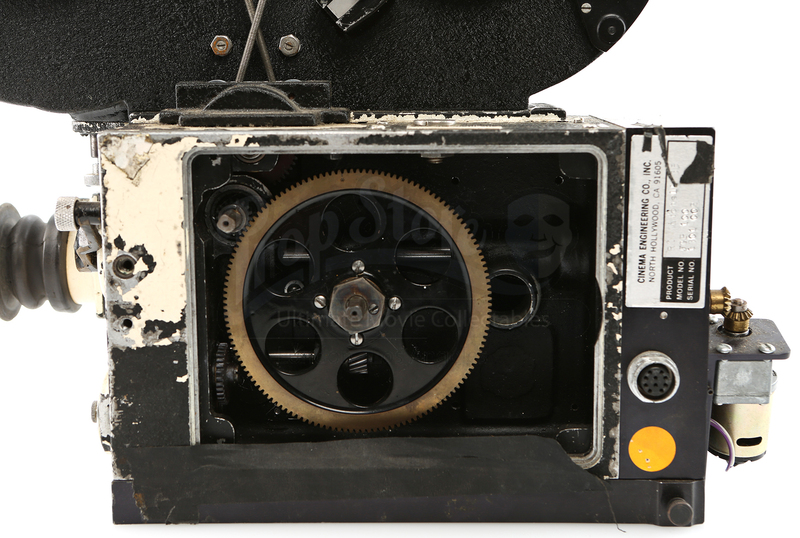 No motor is present. 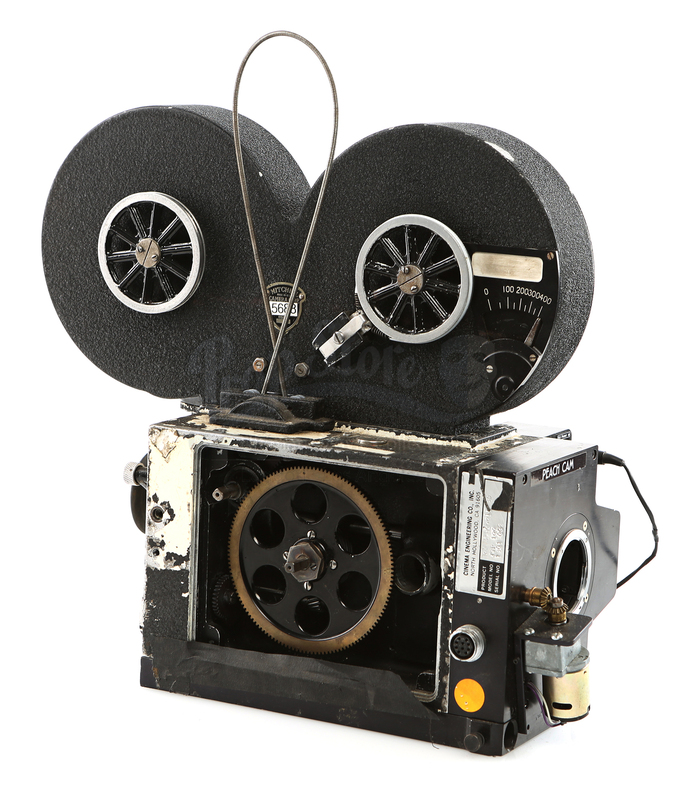 The camera includes the movement and may have worked on other films prior to James and the Giant Peach.